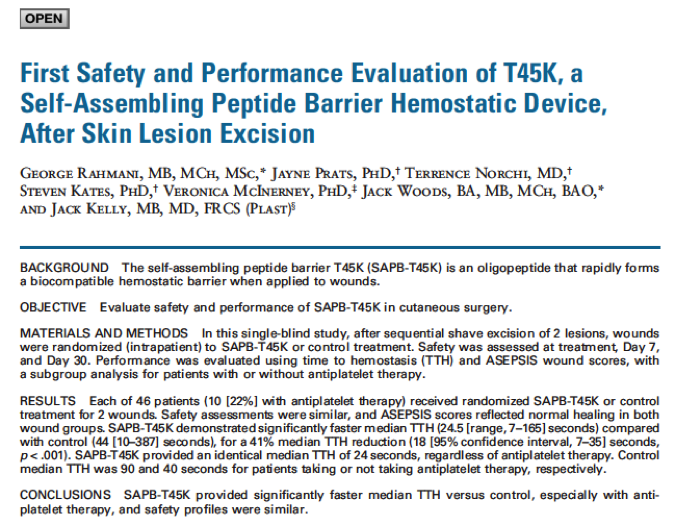 Randomized, blinded safety study of 46 patients undergoing cutaneous surgery, including 10 patients on antiplatelet therapy (blood thinner). Each patient underwent shave excision of 2 lesions, which were randomized to AC5 or control treatment. Rahmani G et al. Dermatol Surg. 2018;44:939–948.